With your control panel you can fully customize your site – add new pages, change tabs, upload files, add videos, all optional. 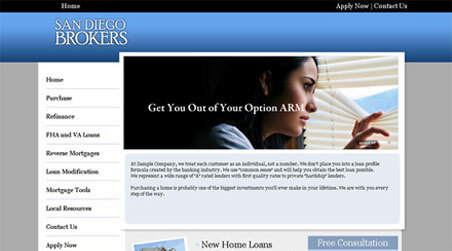 The sites are ready to start putting new loans into your pipeline from the moment you buy them. They have compelling pre-written content on everything from FHA to reverse mortgages, as well as calculators and tools, and, of course, the most user-friendly, only customizable 1003 on the net is included with all of our sites.